People spend on average around 50 minutes in front of the mirror a day. While technology has permeated the rest of our lives, the bathroom mirror has remained largely unchanged. But what if there was a device that could passively improve your health and make you feel better? We came up with a list of ways a smart mirror could help. We wanted to focus our attention on bathroom mirrors since the use cases were more targeted. The primary use cases revolve around health and beauty. The following is a list of ideas we came up with for applications. Ultimately we envision this as an open platform that other people can write apps for. We made some basic modifications to the stock Android OS (removing the soft buttons and rotating the angle to portrait mode). We also wrote an Android demo app. We were invited to participate in NYC Resistor‘s interactive show. We wanted to build something that was easy, looked good, and demonstrated internet connectivity and interactivity. We enlisted the help of Mark Forscher (who did an awesome job brainstorming with us and doing a quick design session – you should hire him). The app is a photobooth that shows you a gif (via the giphy API) and asks you replicate it. The output is posted side-by-side to Tumblr. We’re talking to a few people about other specific use cases (retail, hotels, advertising) to see if their is interest in further developing the product. If anyone would like to talk more about what what MiMi (or embedded Android) can do for you, get in touch. I love the idea. 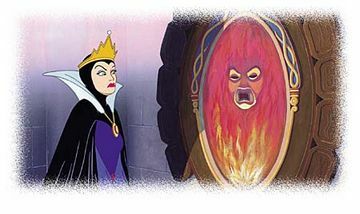 Coincidentally, I came across this article (circa 2002) by Jakob Nielsen on magic devices and the Magic mirror as one of them. Was this your inspiration, by any chance? Read more here http://www.nngroup.com/articles/in-the-future-well-all-be-harry-potter/. He has a couple more whacky ideas in that article too..